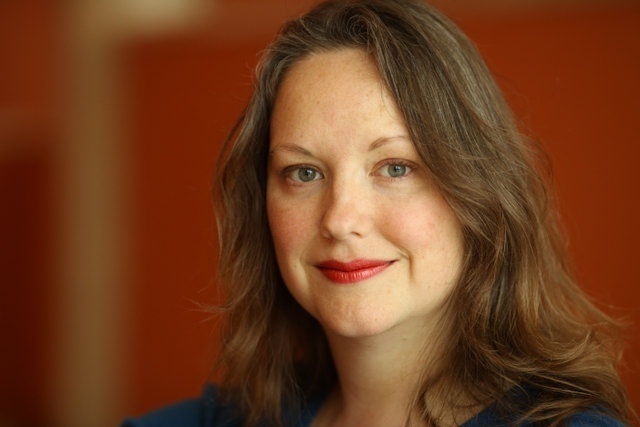 I am so glad to welcome author Emily Winslow to Book Club Exchange. 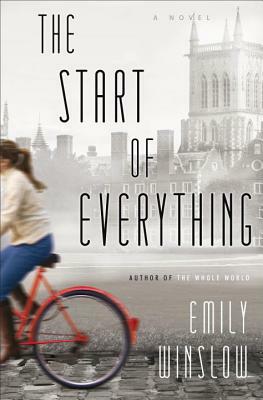 Yesterday, I reviewed her latest novel THE START OF EVERYTHING which is a terrific psychological thriller set in Cambridge, England. I am very excited to share with you Ms. Winslow's post about her experiences with book clubs that discuss her novels. I do write book club questions to go with my books, but there's an unwritten, obvious question that is usually asked first, and which I have found can fill at least half the meeting, or even all of it: Which narrator did you like best? Both of my novels, The Whole World and The Start of Everything, are told through multiple first-person narrators. These characters are villains, victims, investigators and witnesses. None of them alone have the whole story, and each one misunderstands or mistrusts the others. These limited points of view bumping up against one another is much of what propels the plots, and also can inspire lively discussion. The first to speak will be consciously polite, because I'm there. They'll say who they liked, and why, and pass the question off to the next person, who does the same. By the third person, things get looser. Someone across the circle will respond by zinging back, “No! I hated him!” or “Yes, but when they did _____ I was really angry.” Someone else who hasn't yet spoken will interrupt to defend the character, “But they had to do that! Don't you remember when they...” And that's how a discussion is born. I've noticed that American readers tend to look at my setting of Cambridge, England as a fictional fantasy world, while local Cambridge readers tell me that they recognise not just the city but the characters as utterly familiar types. I enjoy both points of view. As an American who lives here, I identify with both. I've noticed that mothers of young children have generally judged my difficult mother characters harshly, while mothers of adult children have been more forgiving. As a mother myself, I see both sides of this too. I strive to be compassionate towards all my characters, even those who do terrible things. I strive to be honest about my characters, even when honesty doesn't flatter them. I can understand anyone saying they love any one of my characters, because I love them. I can understand anyone expressing frustration with them, or other negative feelings, because I don't have illusions about them. Visiting with book clubs has been a huge treat for me (and not just because so many of them serve amazing food!). So, thank you, book clubs! And, thank you Booking Mama, for this chance to talk about it, and for providing a place for book lovers to find more books to love. I'm curious to hear from book club members how the presence of the author affects what you're willing to say. Do you hold back or let it all hang out? Any tips to help authors to put readers at ease? Giveaway alert: I have a copy of THE START OF EVERYTHING to share with one lucky reader courtesy of Tandem Literary. To enter, just fill out the form below before Tuesday, February 19th at 11:59 p.m. ET. I will randomly select and notify the winner the following day. This contest is open to those of you in the U.S. only. Good luck! A huge thanks to Ms. Winslow for participating in Book Club Exchange! I bet it would be so interesting to be an author at a book club meeting. I love the way the club members begin to loosen up in front of Emily and finally share their true feelings about some of the characters. I love that it takes book clubs a little while to loosen up in front of her. I wonder if my book club ever would. Great post. I love what she had to say about US versus UK readers. At this point I have read about England so much that it is starting to seem less like fantasy land.